In 1866 the first successful telegraph cable was laid across the Atlantic from the UK to Newfoundland in North America. That means it’s now 150 years old. This wasn’t the first attempt at laying a cable across the Atlantic, the first three attempts were abandoned as they broke up. The fourth attempt worked for four weeks, but the fifth attempt worked. These days you can get a telephone signal almost anywhere on the planet and it’s hard to imagine what it was like when the only way to get information was by means of sending it on a ship. There are plenty of people alive who remember a time when not only were mobile phones science fiction, but not every home had a landline – people used to go down to the nearest telephone box (those old red boxes) and put money in a slot to make a phone call. Telephone boxes are becoming obsolete – although the old red ones have listed building status. Even where there are phone boxes, many will only allow emergency calls. Many people don’t even use their landlines much any longer – using only mobile phones for telephone calls – and, of course, much more. 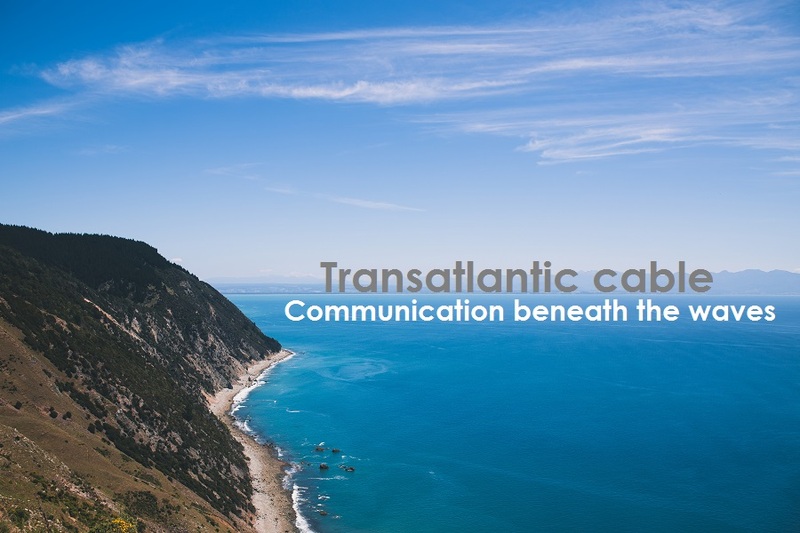 The latest cable across the Atlantic is part of a joint venture between Facebook and Microsoft who plan to lay a 4,100 mile internet cable able to send 160 terabits per second. Stage one will connect North Virginia to Spain and plan to extend it to Africa, the Middle East and Asia. It is already off the starting blocks and due for completion in October 2017. Google is also laying undersea cables from the US to Japan, South America and Asia. As the original cable laid in 1866 was put down by literally throwing it over the side of the ship, we assume that the 2016 version will entail something a bit more sophisticated! Of course, there is a tectonic fault, known as the Mid-Atlantic ridge, where there’s a gap that is getting wider at about the speed your fingernails grow. Hopefully, they will have allowed for this or they’re laying elastic cable!